Home | Cosmetics | Make Up For Ever Review 2019: Beautiful Makeup Forever! Make Up For Ever Review 2019: Beautiful Makeup Forever! Is Make Up For Ever Cruelty-Free? Is Make Up For Ever Vegan? Make Up For Ever is a brand by and for makeup artists. 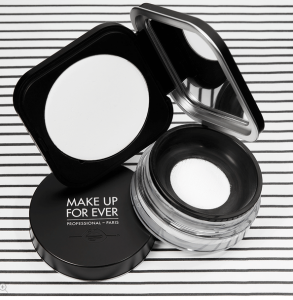 Make Up For Ever are pioneers in cosmetic technology and use no-frills packaging to keep their incredible products priced reasonably. In terms of formula, the Make Up For Ever products are comparable to high-end designer brands. They are enriched with nourishing natural ingredients, they utilize the most cutting edge research in skincare and makeup, they do what they claim to, and they feel and look amazing on the face. We will cover this excellent makeup company and a selection of their top products here in our Make Up For Ever review! 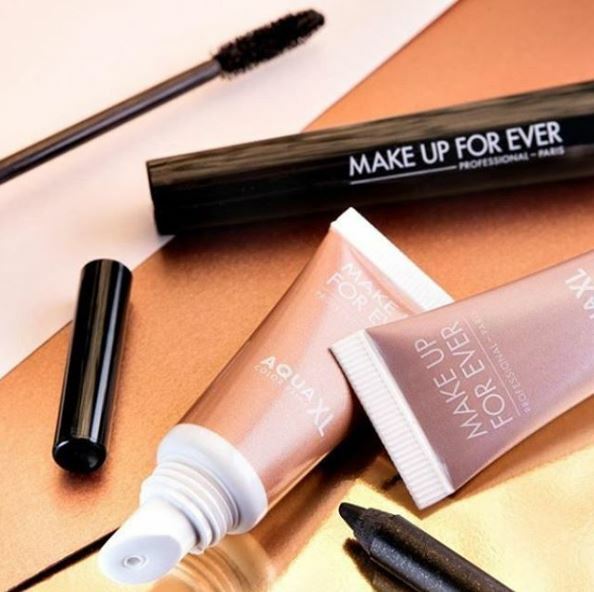 Make Up For Ever makes products that are smart and bold, which makes complete sense when you get to know about the life and personality of its founder. Danny Sanz was an artist who pushed the limits of style and created her own techniques. She was a professor who understood the technicalities behind the art as well. Sanz started the first ever professional makeup school in Europe in the 1970’s. She found that she was frustrated with the professional makeup on the market for her to use and teach with, and thus began formulating her own products at night after school. She and her students created makeup in the basement below a small Parisian boutique where it would eventually be sold. The products were met with such enthusiasm that Sanz decided to launch Make Up For Ever as an official brand in 1984. In 1999, Make Up For Ever became a subsidiary of LVMH, a European group specializing in high-end luxury goods. LVMH had the capital and means to take Make Up For Ever to new heights, where it sits today – at the top of the makeup industry! There are quite a few of the Make Up For Ever products that have a cult following. However, the Ultra HD Invisible Cover foundation is probably the most befitting of that description. The foundation is designed to look great on camera. The “Ultra” refers to the 4K video quality we’re seeing these days – and is often used on film and television sets. This foundation is a staple in many makeup artists’ kits because it works well on most skin types. 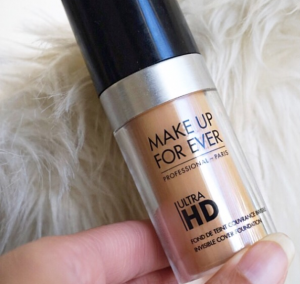 The only skin that Ultra HD isn’t ideal for is very dry skin, but the Face and Body foundation is – check that out below if that applies to you. Ultra HD offers medium coverage that layers nicely to an almost full coverage finish, and a beauty sponge is definitely recommended for the smoothest possible application. It is long-lasting, but feels really lightweight while on. The foundation comes in a whopping 40 shades with everything from light, to dark, to yellow, to pink-tones covered. This concealer is very thick, as you might expect from its name – a little truly goes a long way! Full Cover is super effective at covering up spots, acne scarring, and discoloration. 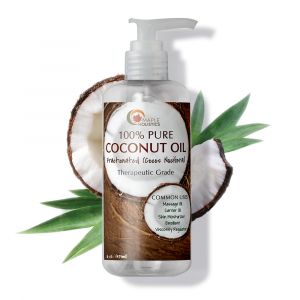 It is non comedogenic and formulated without commonly known irritants. 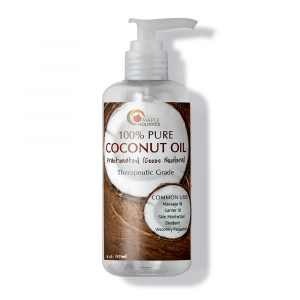 In other words, it won’t clog up your pores and exacerbate active acne. I’ve seen people using this as an under eye concealer and comment that it creased up under the eyes. Personally, I really don’t think this was designed for concealing dark circles under the eye because it is so thick and pigmented. The Full Cover formula is matte and waterproof so it lasts all day long. 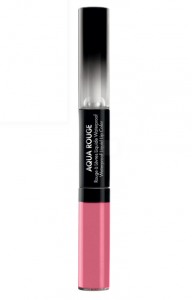 Aqua Rouge is a liquid lipstick that goes on like a balm and feels luxuriously soft. The versatility of this lipstick is thanks in large part to the dual-applicator which gives you the option to leave your lips matte or apply the glossy finish included on top. Aqua Rogue feels so comfortable and lightweight, you’ll probably forget you’re wearing it. The lipstick is transfer-proof and waterproof, but it will start to fade if you eat something greasy, so be careful! HD Microfinish is truly a holy grail staple of cosmetics that works for everybody. The micro fine powder is ideal for setting concealer to prevent creasing, and won’t make your skin look and feel all powdery. It keeps shine at bay and gives the skin a beautifully flawless, velvety texture. If you have oily skin and set your entire face with a heavy hand, use a colored powder to avoid a white cast, particularly if you have a darker skin tone. It can take a while to finish this because you don’t need very much at a time. Travel size is a welcome option! Of the four makeup products in the HD line, two are Allure Best of Beauty winners (the pressed powder and the concealer), and all are beloved by makeup artists and consumers alike. With ridiculous advances in photo and camera quality, every tiny imperfection is in sharp focus. These products make you look smooth and flawless in every light, in person, or on camera. The Ultra HD concealer does a great job of waking you up and leaving you looking youthful and refreshed. It is lightweight and won’t crease or settle into fine lines. There are two sets of colors with these: the R shades correct (peachy toned to neutralize purple shadows—Color theory 101 fun), and the Y shades brighten. If you can get two, it’s best to use a corrector first and a brightener on top. You can also use whatever is left on your brush on the eyelid to prime and even out tone as an eyeshadow base. For an organically flushed look, go with the HD Blush, which comes in the most lovely, flattering shades. Many makeup enthusiasts prefer cream blush to powder blush because the high points of the cheeks is an area you want to highlight, not mattify. 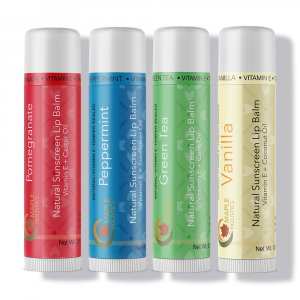 These blend easily and look seamlessly natural. The HD pressed powder is a great compact that can be used alone or on top of makeup to control oil, set makeup, and smooth out any lines and texture. Unlike some powders, the finish is not too flat or matte, and the translucent shade works for any skin tone. I’ve already spoken about the Ultra HD Foundation to death. It’s probably the star of this line, and you know I love it. There is a reason cosmetics glitter are more expensive than craft glitter, and should never be substituted. Craft glitter is cut with sharp edges and made with harsh materials. It can be seriously damaging if even a few sparkles fall into your eye. 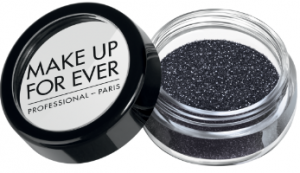 These Make Up For Ever glitters are cut with rounded edges and made with soft materials. Notably, these are safe for use in the general eye area. The glitters are finely milled, so they don’t clump up on application, and they come in the most incredible color options, with subtle shade blends for really aesthetically intriguing, multi-dimensional color results. They range from super bold rainbow options to more wearable neutrals, and none will disappoint in the sparkle department. The Water Blend Face and Body Liquid Makeup foundation is enriched with vitamin B5 and is full of water. This foundation has been around for a while. It was already wildly popular before Make Up For Ever successfully reformulated and improved it. The Face and Body Foundation formula gives skin the most amazingly dewy and fresh faced look, providing build-able medium coverage. It is very long lasting, waterproof and transfer-proof. RELATED: Check out our Lush, Urban Decay, Olay, Revlon, Vichy, and Covergirl Features! Is Make Up For Ever Cruelty-Free? Does Make Up For Ever Conduct Animal Testing? Make Up For Ever does not test its products on animals. However, they buy ingredients from companies that do, and they sell their products in China. In China, authorities require cosmetics companies to make products available for testing. Many companies that used to be considered cruelty-free have been taken off of PETA’s official list because of their decision to sell their products in China, however Make Up For Ever itself does not conduct any animal testing. Make Up For Ever products are not vegan, as beeswax and other natural animal byproducts may be included in formulation. With her fiery orange hair and smokey eye, Danny Sanz, who is still the creative director of Make Up For Ever, says “For me, life has always been a stage.” She actually got her start in the theater where she’d been painting backdrops and helped out the makeup artist who had been shorthanded. Seeing her painting come to life on stage, she says, was a transformative experience – a kind of magic. It seems that Make Up For Ever has held onto that moment. Make Up For Ever is always celebrating the art and movement of makeup, and producing the tools to help bring an artistic vision into fruition.